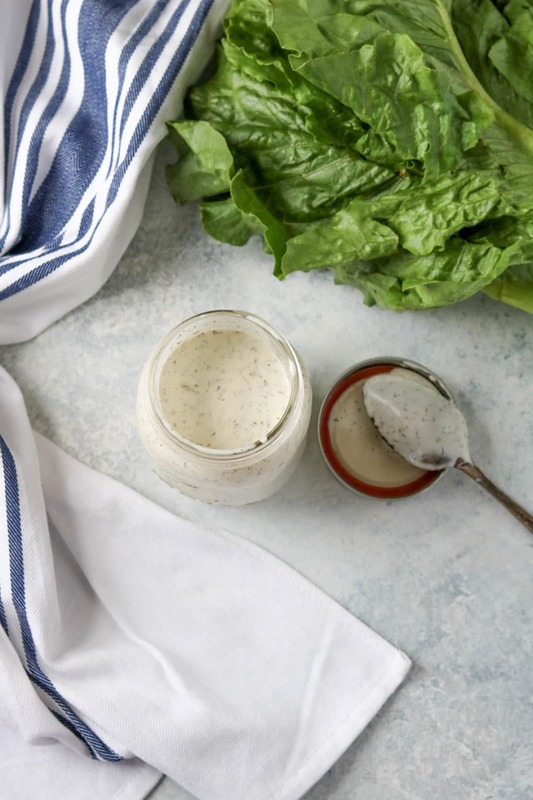 Using full-fat coconut milk and Paleo mayo as the dairy replacement, you still get the same creamy texture of other ranch dressings. Add in garlic, onion, dill and BAM, Hidden Valley won’t have anything on you! You can use an immersion blender or just hand whisk the ingredients together. 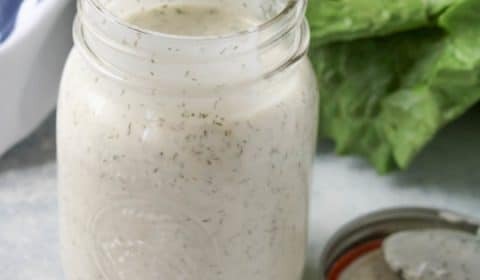 I usually whip up a batch of Dairy-free Paleo Ranch prior to when I want to use it so I can store it back in the refrigerator and let it chill. If you don’t have time to let the dressing chill in the fridge before using, throw your can of coconut milk in the fridge so it’s already cold when you’re ready to blend it up. 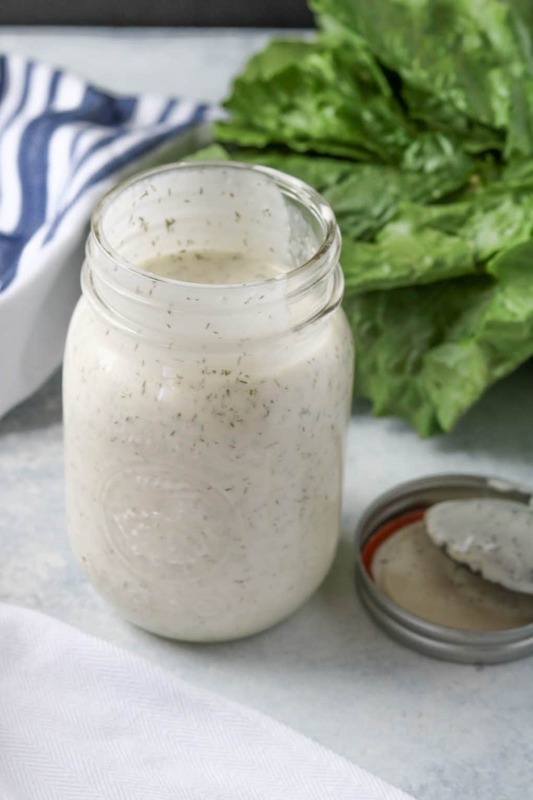 And as I mentioned before, I always keep my Dairy-free Paleo Ranch in a mason jar in the fridge, keeps it fresh so you can enjoy this homemade option. Add all ingredients into a small bowl and mix with either an immersion blender or hand whisk. Blend until it’s smooth and very few chunks remain. Pour into a mason jar and store in refrigerator to chill.